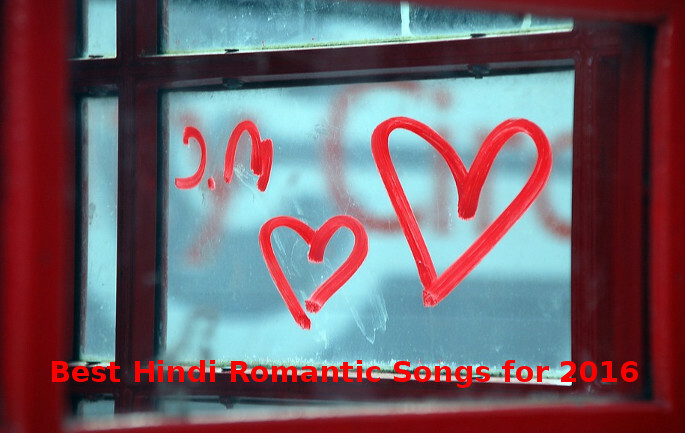 To attract the attention of your girlfriend, wife, husband or make him happy and feel special, you must dedicate a latest and the best Hindi romantic songs to him/her. Indian film industry launches 100s of movies every year. 90% of the films flop and fail to make a profit at the box office, but because of good efforts of singers, the song of movies leave a good impression on the audiences. Music is the backbone of the film. A movie without a good script can survive if it has beautiful Hindi romance songs. If you’re wondering what are the best romantic songs for 2016, go through below paragraphs. We’ve covered top 10 best romance songs of Bollywood movies that you should have on your mobile phone or tablet. Karan Johar’s ADHM movie is yet to hit the theaters, but the title song sung by Arijit Singh has already given the movie a huge popularity. Atif Aslam, the singer from Pakistan has become a huge name in India because of several hit songs he delivered. The TSY song from the movie Rustom is worth listening 1000 times. Baaghi movie featuring Tiger Shroff and Shraddha Kapoor performed quite well at box office. The song Sab Tera became a huge hit in India. Arman Malik and Shraddha Kapoor has vocalized it. The movie has disappeared from theaters, but the song is played every day on major radio stations. It is one of the best romantic songs. Yet another song featuring Bollywood superstar Akshay Kumar, the TLD song makes a person happy everytime he/she listens to it. Apart from the breathtaking dance performed by Katrina Kaif, the song Pashmina’s lyrics and Amit Trivedi’s style of singing will blow your mind. The track is from the flop movie Fitoor. One of the latest AR Rahman songs of 2016, Tu hai has superb lyrics and background music. It freshens a person’s mind and makes him/her passionate and romantic at the same time. This is a beautiful and melodious track from the movie Banjo. The song has lyrics which you can easily remember for a long time. Hriday Gattani is the singer of the song. The song vocalized by Rahat Fateh Ali Khan topped charts of radio channels for several weeks. It is yet another Bollywood love song worth listening. One of the most beautiful Hindi romantic songs for 2016 is the title track of the hit movie Sanam Re. 1000s of people listen to this track every day. Conclusion: Over 500 songs have been published this year. The top ten romantic songs are the ones we have mentioned above. If you think we haven’t covered your favorite track, please do let us know.